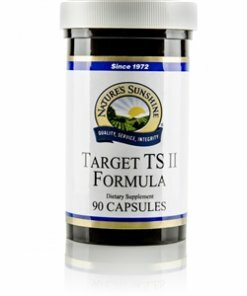 Nature’s Sunshine Target TS-II nourishes the pituitary, thyroid, and hypothalamus glands with zinc and manganese. Chemically combined with the amino acids glutamine, proline, and histidine for easy absorption, zinc and manganese encourage cell growth and repair as well as certain enzyme reactions. 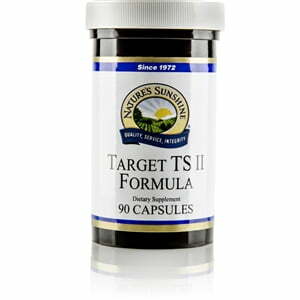 Target TS-II also assists in maintaining proper thyroid function. Instructions: Take two capsules before breakfast and one before lunch daily.